A former adviser to Donald Trump has released what she says is a tape of a phone call from the US president after her dismissal last year. 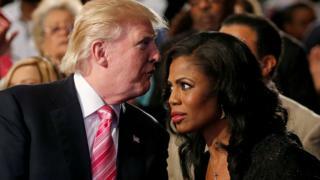 In the tape played on US TV channel NBC, a voice presumed to be Mr Trump’s expresses surprise at Omarosa Manigault Newman being fired the previous day. “Nobody even told me about it,” the male voice can be heard saying. She is releasing a memoir soon and the White House have described her as a disgruntled ex-employee. Tweeting on Monday, Mr Trump said his former employee had only started to attack him after she lost her job. He added that he had asked his Chief of Staff John Kelly to try to “work it out”. President Trump’s lawyer, Rudy Giuliani, says she may have broken the law by recording private conversations at the White House. Ms Manigault Newman knew the president from her days as a star of The Apprentice reality TV show, and advised him on African-American issues during the 2016 election before taking a communications role in the White House. “Wacky Omarosa” the president calls her. He has a point: her disclosures are hugely entertaining – and embarrassing for the president. Through her book and TV appearances, she’s exposed private conversations and the inner workings of an unconventional administration, but she hasn’t exposed any serious wrongdoing, and it’s unlikely she will. She worked in the office of public liaison, focusing on outreach to the African-American community, and didn’t have access to top-level secrets. I’d often see her float in and out of White House events, leaving them early if they got boring, or showing her friends around the place and inviting them to the White House mess for coffee. Her revelations are now creating a stir for a reality-TV-star-studded West Wing but this episode’s likely to end soon. What does the ‘Trump tape’ say? “General Kelly came to me and said that you guys wanted me to leave,” she replies. Why did Manigault Newman lose her job? Her dismissal was announced on 13 December amid US media reports that she had annoyed colleagues. 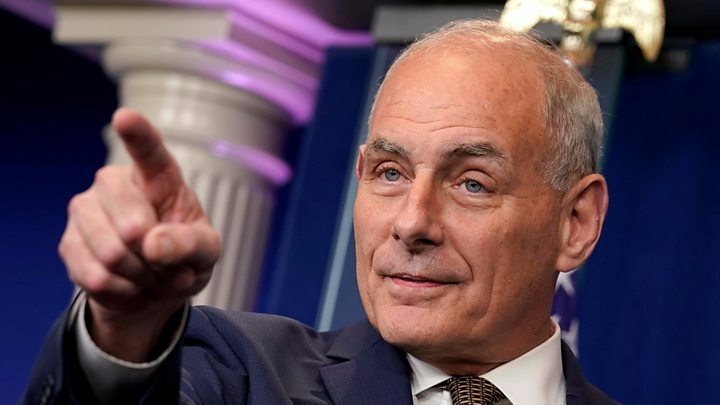 In a recording she released of her dismissal, the man assumed to be Mr Kelly speaks of “significant integrity issues” as the reason for firing her, mentioning her use of government vehicles. “There are some serious legal issues that have been violated and you’re open to some legal action that we hope, we think, we can control,” he says at one point. Defending publishing the conversations, she said she had “protected” herself “because this is a White House where everybody lies”. Mr Trump tweeted that she had signed a non-disclosure agreement, which presumably was meant to prevent her from revealing what had gone on at work. 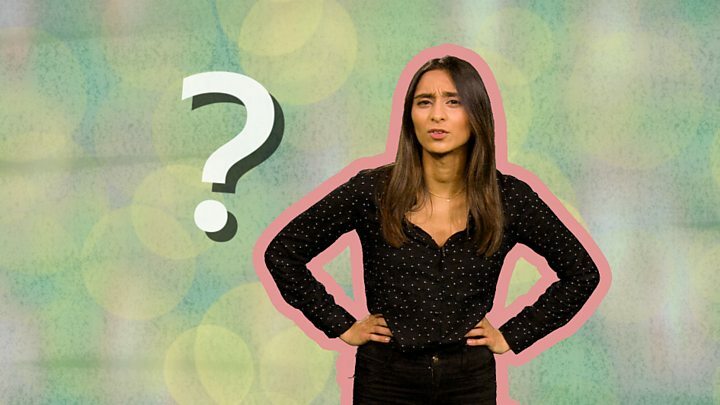 Media captionNon-disclosure agreements have been in the news a lot – but what exactly are they? Non-disclosure agreements were presented to senior White House staff in April of last year, the New York Times reports, but no penalties were specified for breaking them. Ethics lawyer Norm Eisen, who served under former President Barack Obama, suggested to the paper such agreements might be a civil rights violation. What does her book say? The most explosive allegation in Unhinged is that there is a tape of Mr Trump using the N-word during filming for The Apprentice. In the book, she does not say she heard him use the word, or that she heard the tape, but in an interview for NPR radio on Sunday, she said she had actually heard the recording. “I heard the tape,” she said. The White House has said her claims about his language are false. The book indicates that her view on President Trump has also changed. She now says the president is a racist, contradicting what she said when she was fired.